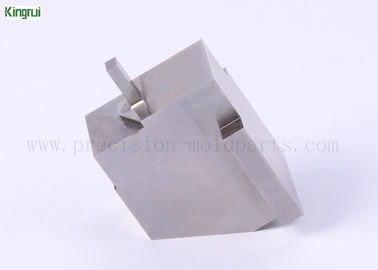 The precision automotive parts described now, is a representative of our non-standard custom processes parts. Our company was founded more than 12 years, mainly provides processing services of non-standard precision mold parts, The processes of grinding and discharging, are the most adept technologies in our company. SUS440C was used for the precision auto part, which is a high carbon chromium stainless steel imported from Japan and it has good dimensional stability. In short, the requirment of tolerance as customer's demand. This workpiece does not require any surface treatment, and if your processing parts are needed, we can offer the following: polishing, mirror polishing, PVD coating, DLC coating and so on. 1. With plastic bag and plastic box, with PE film. 2. To be packed in cartons. 3. Use glues tape to seal cartons. 4. Deliver out by DHL, FEDEX, TNT, EMS and so on. Or according to your requirements. Stainless steel: SS304/ SS303/ SS316/ SS204,etc. Aluminium: AL6061/ AL6063/ AL6005/ AL7075/ AL5052,etc. The examples listed above are only part of the material used. You can mark it on the drawings or in the mail. D. Delivery time: Generally speaking, it needs 5- 15 working days and depends on your order quantity and complexity of your drawing design. Please tell us,if you are in urgent need.